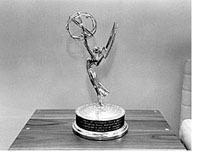 The Research Laboratory of Electronics (RLE) at the Massachusetts Institute of Technology (MIT) is pleased to announce that in recognition of its pioneering role in the digital television revolution, the Digital High-Definition Television Grand Alliance received the 1997 Primetime Engineering Emmy Award. The award was for developing the technology upon which the new United States standard for over-the-air digital television broadcasting is based. 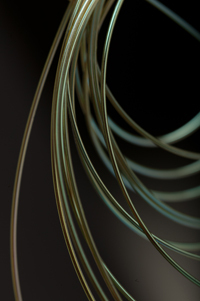 The Academy of Television Arts and Science (ATAS) recognized each participating member of the Grand Alliance research consortium: General Instrument Corporation, Lucent Technologies, Philips Electronics North America Corporation, Sarnoff Corporation, Thomson Consumer Electronics, Zenith Electronics Corporation, and MIT. MIT was represented by RLE’s Advanced Telecommunications and Signal Processing group, headed by Professor Jae S. Lim. The ATAS Engineering Emmy Award honors developments in engineering that are either so extensive an improvement on existing methods or so innovative in nature that they materially affect the transmission, recording, or reception of television. ATAS cited the Grand Alliance for being primarily responsible for developing and standardizing the transmission and technology for the upcoming digital television revolution by establishing a system that delivers a flexible mix of high-resolution television, multiple standard-resolution programs, multiple-channel digital audio, and data for advanced applications. The Digital High-Definition Television Grand Alliance was formed in May 1993 at the request of the FCC’s Advisory Committee on Advanced Television Service (ACATS). By successfully combining the best features of four competing digital approaches to high-definition television, the Grand Alliance system distinguished itself during laboratory and field tests conducted in 1995. In November 1995, ACATS recommended that the Grand Alliance system form the basis for the new digital television standard, which was adopted by the FCC one year later. In addition to delivering remarkably clear HDTV images and five-channel CD-quality sound, the new technology will allow broadcasters to transmit an almost unlimited combination of video, audio, and data to the home via digital transmission. This will create a multitude of interactive and other information-age services such as access to the latest stock quotes and sports statistics. The technology provided by the Grand Alliance will also be capable of simultaneously transmitting full digital HDTV and a range of data services. It will also be able to provide a mix of both HDTV and digital SDTV (standard-definition television) programming.